Introducing the 2012 Range Rover Evoque! ...I didn't even realize that she was the 2012 Range Rover Evoque. So I looked up some information about her. The Range Rover Evoque, is the new coupé that joined the Range Rover and Range Rover Sport line in Summer 2011. (A coupé is a closed-bodied car, with a permanently-attached roof, that is mostly the sporty variant of a sedan and hence has two doors). The Range Rover Evoque is the smallest, lightest and most fuel efficient Range Rover ever produced. Apparently consumers have a choice of both the 4 wheel drive (WD) and a 2WD version. And to further demonstrate Range Rover's brand commitment to environmental sustainability, the Evoque emits sub-130 g/km CO2 (carbon dioxide) emissions. (Most light trucks emit 4 times of this amount of CO2 annually). ...Who'll be more than happy to welcome you to the Range Rover family, with open arms! (Land Rover manufactures and sells the Range Rover Evoque). Make Your SUV/Truck Stand Out, With Billet Grilles! 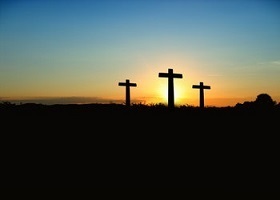 2) So distinct, that it's not easily stolen? 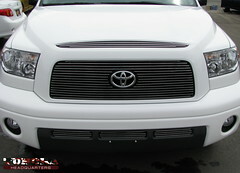 Well, one of the ways to do this, is to get a custom-made billet grille from billetanything.com, for your vehicle. Billet grilles fit into the front of the vehicle, just between the two front lights. 1) Prevent dirt, water and dust from entering the engine, whilst allowing the circulation of air, inside the hood and amongst the various vehicle parts. 3) Come with the make of the car embedded in the centre of the grille, that provides instant recognition of the vehicle brand. The Billet grille's prestigious design gives your vehicle added class and finish...that increases the value of your vehicle, should you wish to sell it sometime in the near future. The key is to find a supplier online, who not only sells this part reasonably, but who's been in the business of providing custom billet grilles for your make vehicle, for some time. This means that the company would have already set up its supply systems to source and install this part cost-effectively, efficiently and expertly. It's also important that the grille being provided is rust resistant and made of durable materials like aluminum, stainless steel and ABS plastic. (ABS is the acronym for Acrylonitrile Butadiene Styrene. ABS plastic is lightweight, rigid, shock absorbant, impervious to dust and can be painted to match the paint-job on your car). ...As these materials ensure that your billet grille can last a long time. So don't delay...get an accessory for your SUV/truck (a billet grille), that will not only help prolong its life, but make you the talk of the town! Car Mats Have Been Revolutionized! This is due to the probable infestation of same, by ants and rodents who are attracted to beverage spills and food crumbs left in cars. ...Not to mention the headache of trying to clean these spills and crumbs up. These spills are even more likely when you have kids. Ice cream, pastry flakes, biscuit crumbs ...you name it!...these food items will drop on your car floor...as kids by their nature, are not as careful and don't have the dexterity to handle certain foods, without dropping/spilling them. Well, what if there were car mats that you could place in your car, where you'd never have to worry about a floor spill again? ...Where you'd never have to worry about your kids trafficking dirt from a muddy play-field or track into your car? ...But more importantly, making your life a lot easier, when everyday spills and dirt happens. Their mats are made of a rubber and plastic composite that is raised at the sides and thus holds spills and dirt, in place, preventing them from seeping into underground carpeting of cars...and eliminating the work out of cleaning up car spills. ...As you can easily take the mats out of the car and wash them down and they're dry again in minutes! And they're made for every make of vehicle, so you can be assured of getting the best mats for your car...even if the car's custom-made. 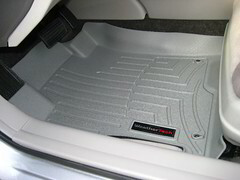 [I would like to thank Paulmichaels79uf for the use of his Flickr inset photo, entitled, "WeatherTech FloorLiner DigitalFit Car Floor Mats - 2009 Honda Accord LX". (WeatherTech mats are carried by CARiD)].